San Diego, CA USA Set #6 - Rear View angle - San Diego, CA - Car travels W on Mission Bay Dr., on a cloudy sunset in light traffic. Shot on RED Dragon. 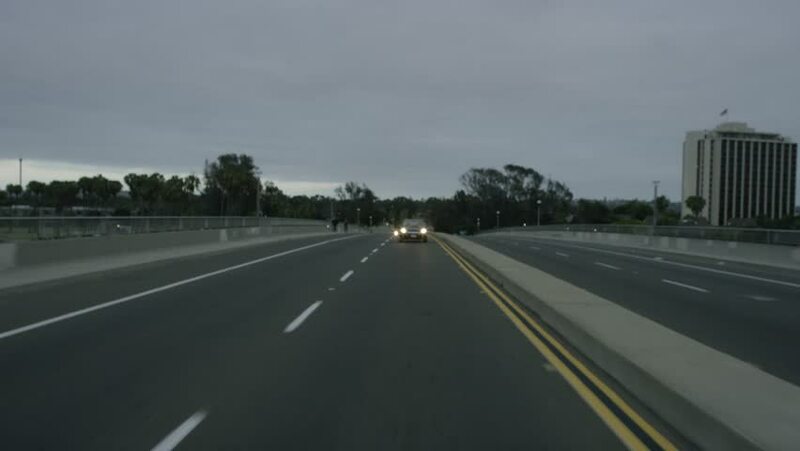 4k01:30San Diego, CA USA Set #6 - Left Rear 3/4 angle - San Diego, CA - Car travels W on Mission Bay Dr., on a cloudy sunset in light traffic. Shot on RED Dragon. 4k00:15Los Angeles County, California, USA - February 11, 2019: Predawn driving view of San Bernardino 210 overhead freeway sign and morning commuter traffic.